I can totally do what I like. In your own words, define the word freedom. Wrestle a bit and say out loud what you really mean. Say it as succinctly and creatively as possible, as if you were trying to explain it to a thirteen-year old with an attention deficit disorder. 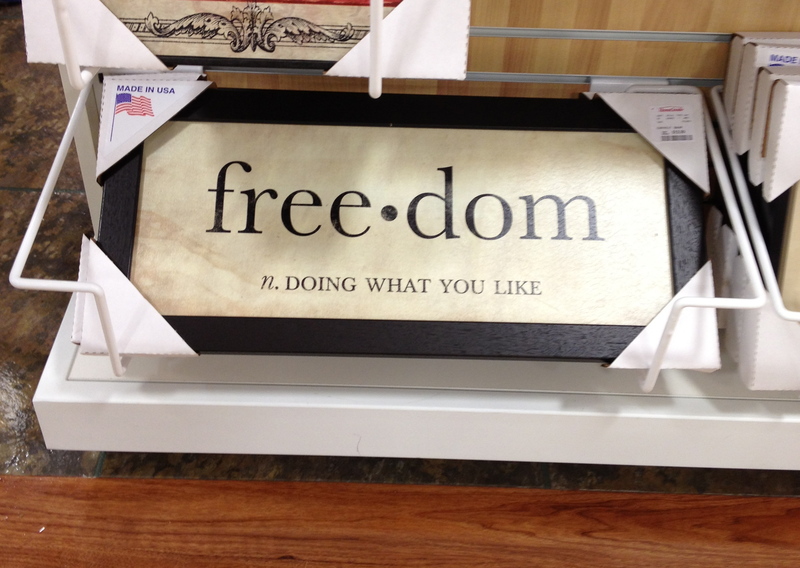 This is what much of our world thinks freedom means. Freedom is doing what you like. Thirteen year old’s everywhere couldn’t agree more. Have you ever paused, and just considered what deceptions weave their way into our day so innocently? I can anticipate the lies in advertising and the fitness industry, but right here in the Marshall’s check-out line? Is there not just one second I can zone out in peace? I’m just trying to buy some towels! The thing is, the sign is right. I can totally do what I like. My freedom to do as I please is one reason that I believe and trust in the God of the Bible. The ability to freely choose is unique to being human; we are not animals, or angels, or robots. The fact that mankind was created with a free-will displays the most confident of Creator’s, doesn’t it? God made humans capable of rejecting Himself. He does not impose himself on us. We are free to do what we like. 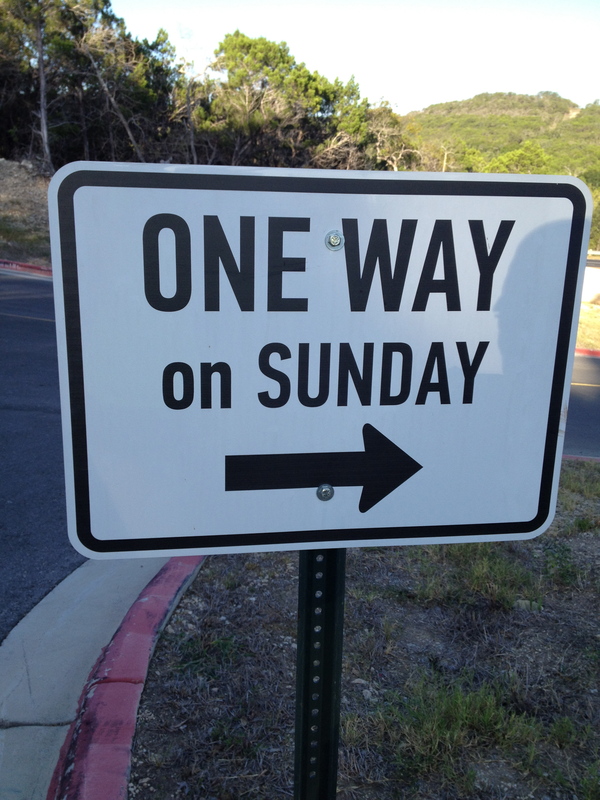 So why is the sign a deception? Because doing what I like will eventually lead to death. Have you ever read Lord of the Flies? Visited the Holocaust museum? Watched Hotel Rwanda? In no time flat, humanity (me included) will wield our freedom like a club, in order to take away another’s. We are created beings with free will, but we must make a choice. A two-year old must choose whether to listen to his mother, or burn his hand on the stove. A sixteen- year old is free to listen to his father, or reject his wisdom and protection. A human being is free to accept or reject her Creator and live out the implications of that choice, either way. This kind of big freedom is what I’m talkin’ about; it changes everything. 1 response to I can totally do what I like. Loved reading this!!!! Thank you so much. You are so special and I appreciate you very much. I wish more young people thought like you. Next post It’s not about the sherry, is it?